Coastal Wind Warning for Tasmanian Waters. Southwesterly 10/15 knots, reaching up to 20 knots offshore. 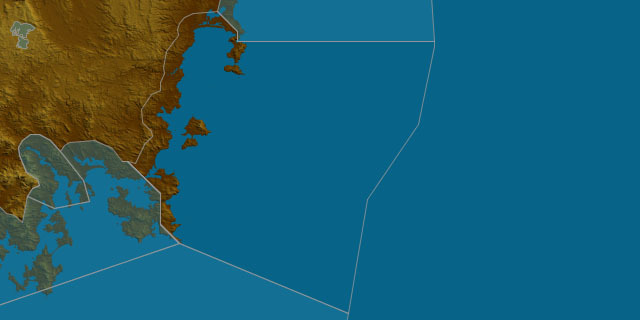 Seas: 1/1.5 metres, increasing to 1.5/2 metres offshore. Swell: Southwesterly below 1 metre inshore, increasing to 1/2 metres offshore. Outlook Friday: Southwesterly 10/15 knots becoming variable about 10 knots in the morning then becoming north to northeasterly 15/20 knots in the late afternoon. Seas: 1/1.5 metres, decreasing below 1 metre during the morning, then increasing to 1/1.5 metres by early evening. Swell: South to southwesterly around 1 metre inshore, increasing to 1.5/2.5 metres offshore. Outlook Saturday: Northerly 15/25 knots. Seas: 1/1.5 metres, increasing to 1.5/2 metres around midday. Swell: South to southwesterly 1/2 metres, turning southwesterly in the afternoon. Outlook Sunday: Northerly 15/25 knots. Seas: 1.5/2.5 metres. Swell: Southwesterly below 1 metre inshore, increasing to 1/1.5 metres offshore. No tides data available for this location.